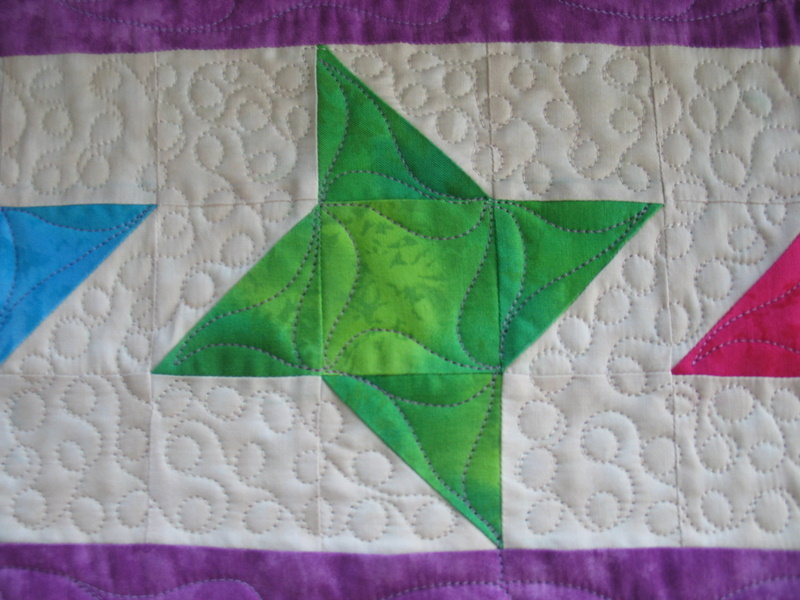 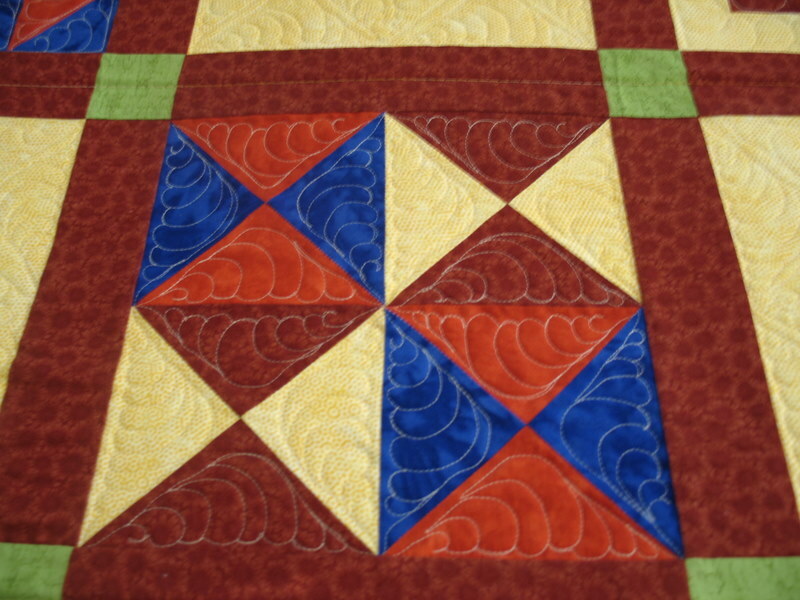 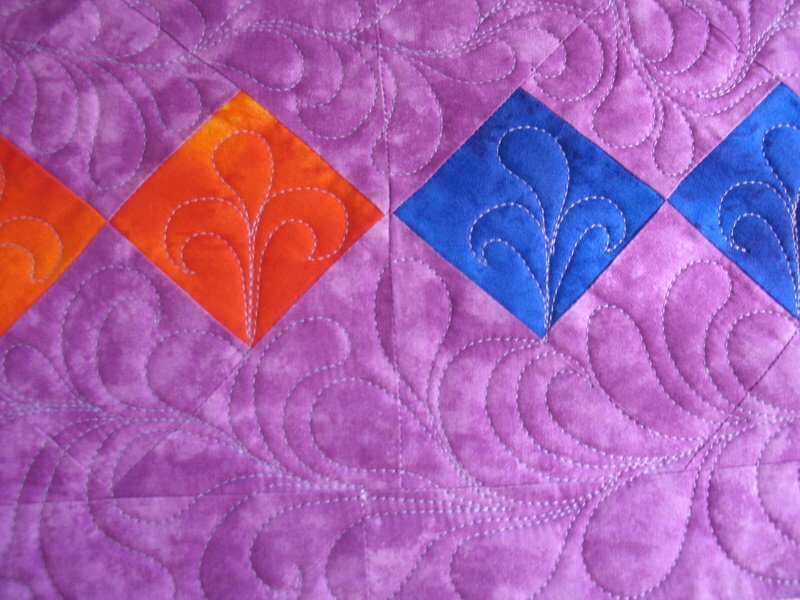 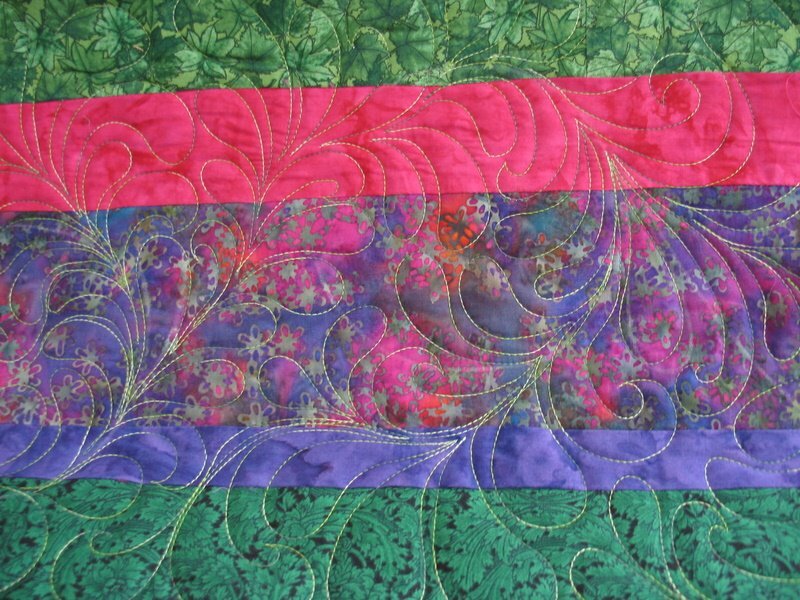 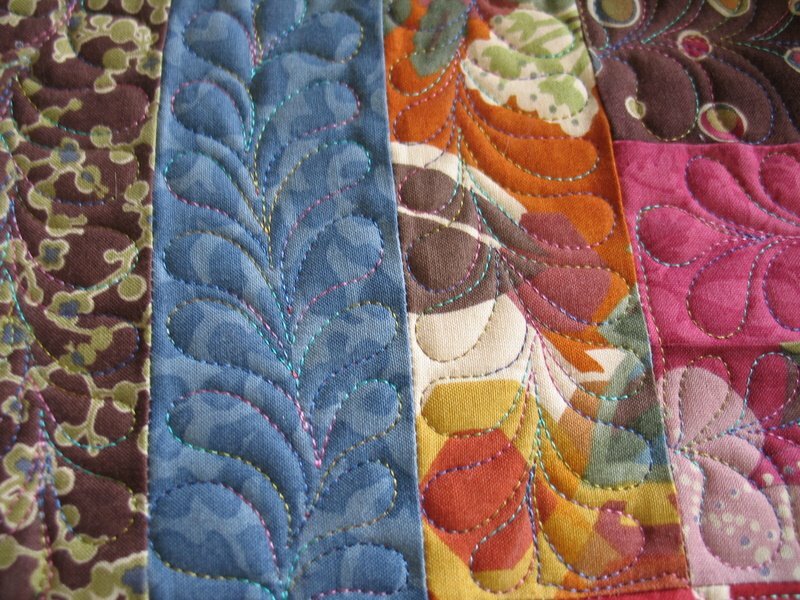 Custom quilting is a freehand meander of feathers, flowers, stars or other motifs that would be appropriate with the quilt. 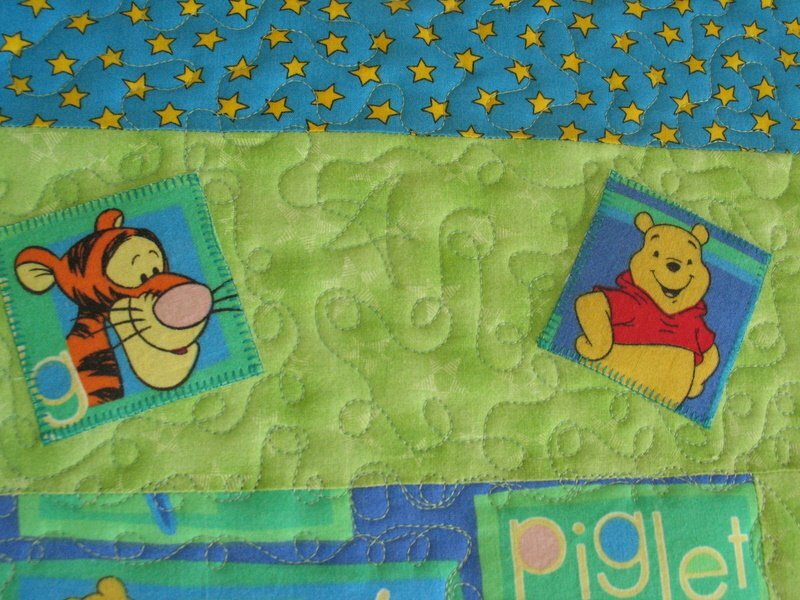 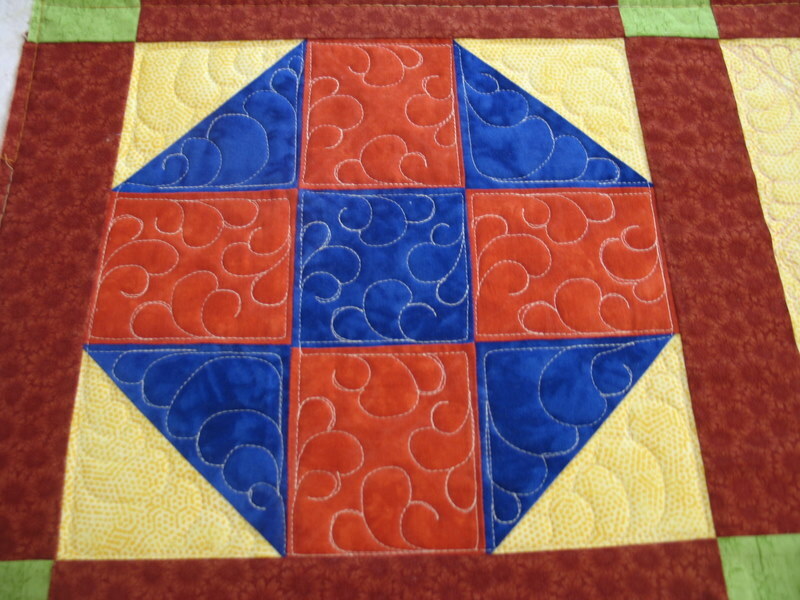 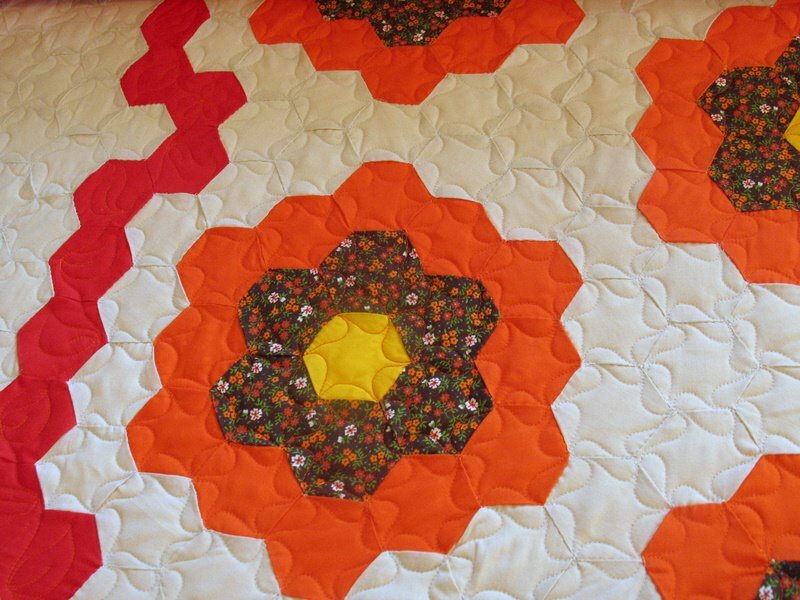 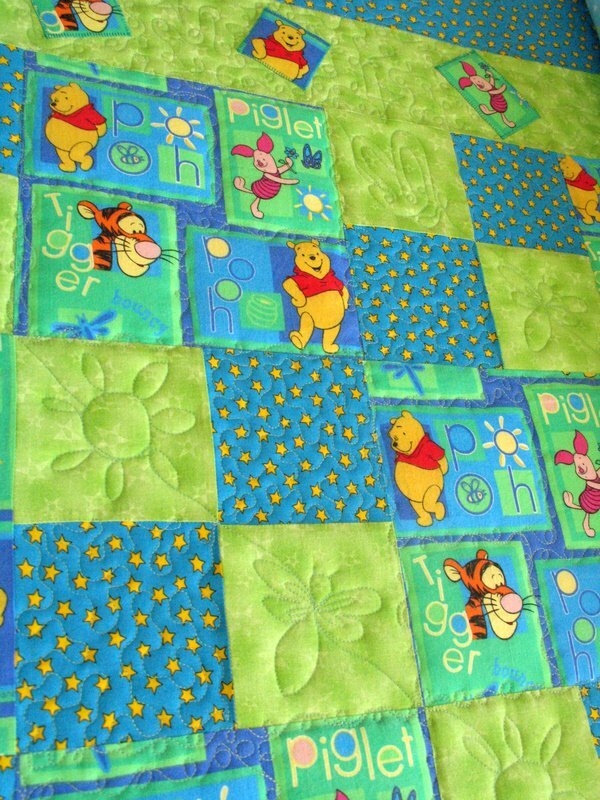 The meandering takes into account the piecing or appliqué of the top so the quilting can fit into the quilt top design. 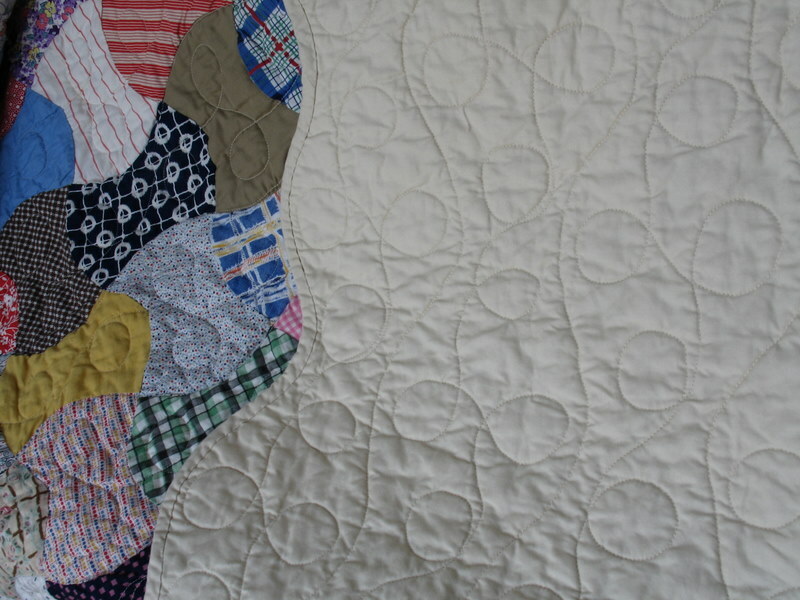 Stitch in the ditch is used when needed to stabilize the quilt. 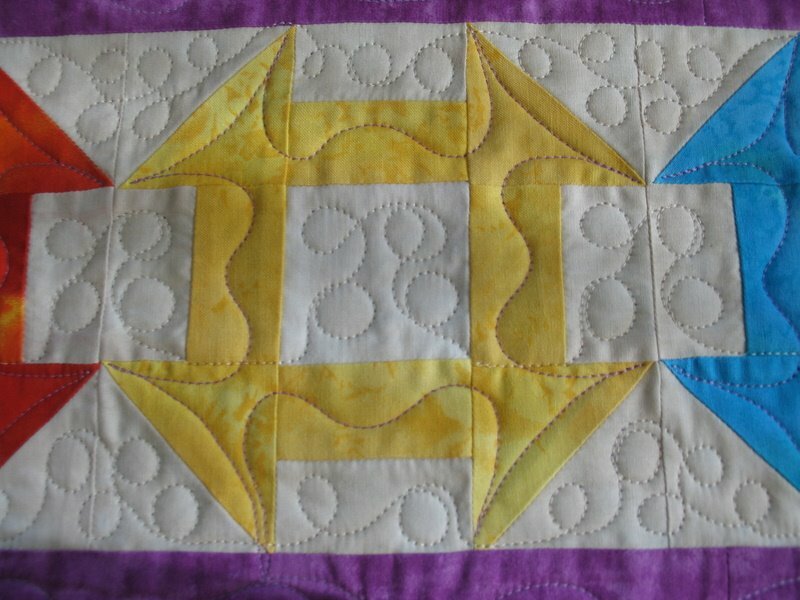 Also, multiple thread colors can be used. 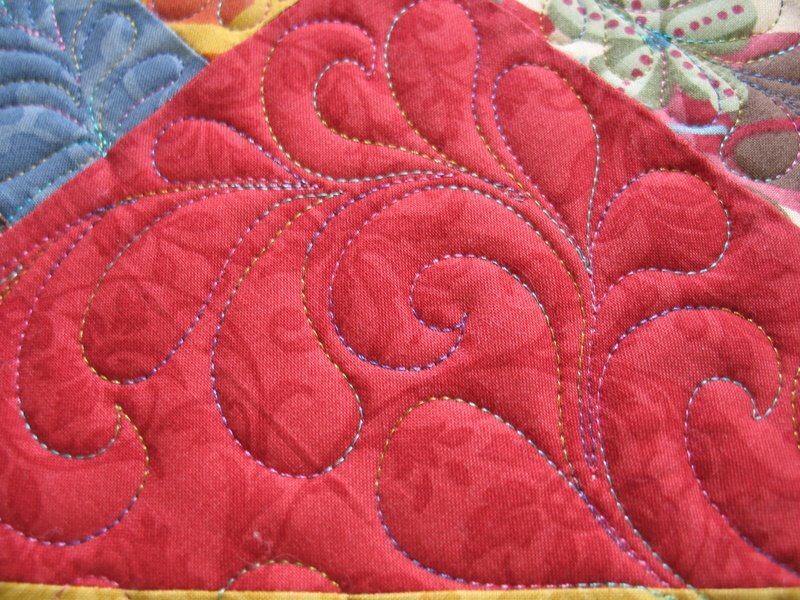 If you are interested in getting a quote for your quilt please email me. 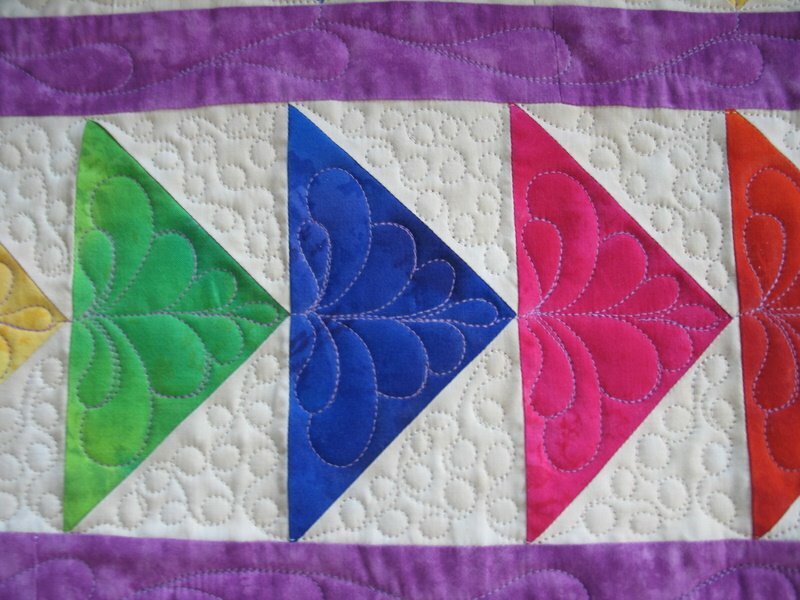 I would be happy to get that to you.